This review is based on my personal experience. All opinions are my own. It seems like every year my boys add another “occupation” to their “when I grow up” list. I’m all for encouraging my children to be all they can be, and reach for the stars, but sometimes you have no idea as a parent as to how to train or succeed at these endeavors. From professional football and soccer players, my boys have added Ninja Warrior Champion to their list. I can sign up my kids for football and soccer teams, but where in the world do you train to become a Ninja Warrior? This pursuit of becoming a Ninja Warrior was first introduced to them through the American Ninja Warrior show on T.V. 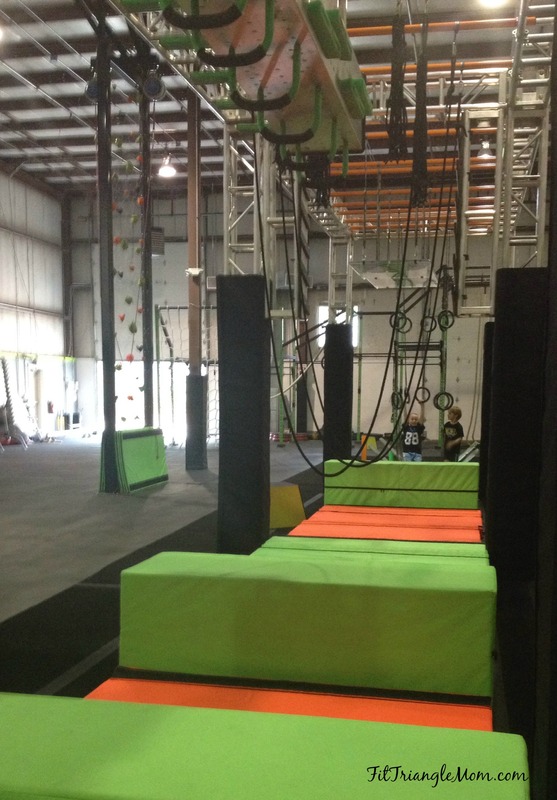 in which an amazing obstacle course of jumping, climbing and incredible upper body strength is required to propel yourself through the course and finish by running up a warped wall and hitting the buzzer. I remember when I trained for a mud/obstacle run awhile back, it was difficult finding the right place to train. I ended up training at my gym. I ran a mile on the treadmill, got off did some pull-ups and squats and then back to the treadmill. It was a crazy way to train. My kids aren’t old enough for the gym, so I was kind of at a loss. Until my trainer friend, Cody told me about his new business venture (with several other Obstacle Race gurus)–Warrior Tech OCR. It’s going to have an obstacle course like on American Ninja Warrior and an outdoor course like at a Spartan Race. I was impressed with this training facility, especially since it offered KID classes, track-out camps, Parent Night Outs, and birthday parties! When I told the boys about Warrior Tech OCR, they were ecstatic! They couldn’t wait to go and try it out. So between, soccer and t-ball practice, I scheduled their first kids class. Your first class is always free at Warrior Tech OCR, and it’s a good way to see if it’s a good fitness fit for you. Warrior Tech OCR is located in Morrisville off Aviation Parkway inside a business park. When you walk in the door, you feel like you are in an office space with it’s bright open lobby with tables, a reception desk and a large flat screen TV on the wall. It’s nice and clean, not like an old garage. Behind the reception desk, you’ll find a huge warehouse-like room with padded floors and the Ninja Rig (obstacle course) plus a climbing wall, TRX station, Bosu balls, kettle balls, and the Warp Wall– everything you need to train to be a Ninja. Walk outside and you can see the outdoor obstacle course. The boys had fun on the Rig trying to figure out how to conquer each obstacle. Some obstacles they needed to know the technique, and that’s where the classes come in. Not everyone can complete all the obstacles without training and guidance, and the classes do just that. 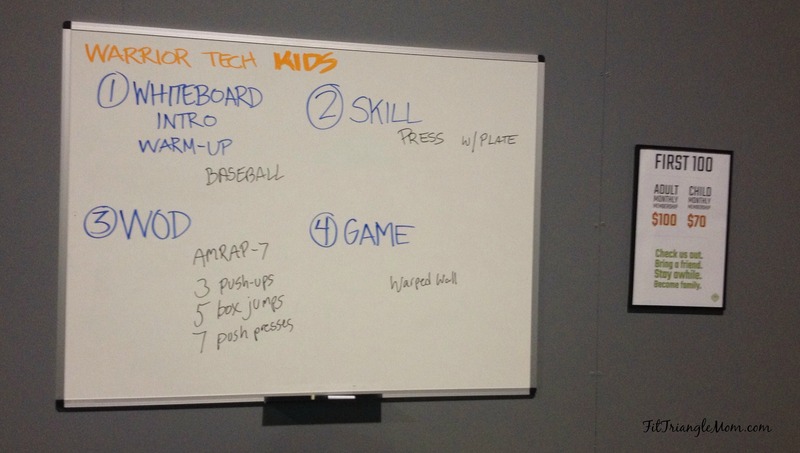 The kids’ class started with a fun warm-up, a technique building lesson, a WOD, and ended with the Warp Wall. I loved the technique part of the class. Kevin, the instructor began teaching them the correct positioning and form of a squat. I’m a stickler for form because it’s the only way to correctly exercise. The WOD turned into a competition amongst the boys while Kevin explained that they are only competing against themselves. The Warp Wall was a friendly competition of who could get the highest. As I watched the boys class, I couldn’t help get excited about taking the adult class. There’s a lot of upper body strength required for the obstacle course, but I’m up to the challenge. Are you? 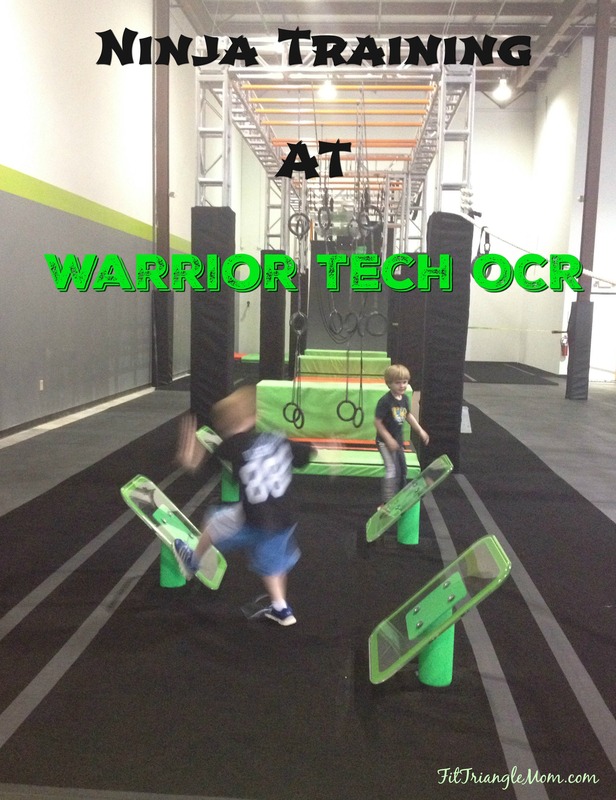 Interested in signing up for your first free class at Warrior Tech OCR? Visit Warrior Tech OCR to schedule a class. Warrior Tech instructors are equipped with several certifications from CrossFit Kids to NASM personal training. They’ve participated in numerous mud runs and Spartan races. They’ve got the means and the motivation to help you achieve your fitness goal all while having fun. Ahh I’m so so excited about this! I love Ninja Warrior (we watched the original Japanese version with subtitles before American Ninja Warrior came around), and I’ve always wanted to do a Spartan race, but I had no idea how to recreate the obstacles or where to find a place to train! This is awesome, I’ll have to check this out! My daughter would love this. She has done crossfit and other various workouts. My grandson would really enjoy the kids program. Thanks for the info. Yes, definitely check it out. The first class is free and many kid and adult classes happen at the same time. I signed Jacob up for a summer camp here before reading this! This sounds awesome, and I can’t wait for him to do the camp in June!!! He’s going to love the camp. The instructors are friendly too.